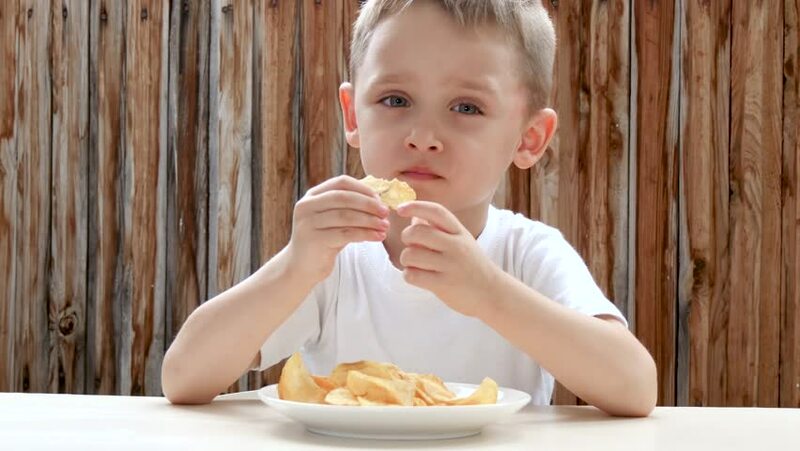 A child enjoys eating potato chips while sitting at a table against the background of a wooden wall. 4k00:26Kid playing with tangerines. Happy child sitting at table with hands applying tangerines to eyes. hd00:133-4 years old caucasian girl eating pancakes with chocolate. hd00:11A happy child in a superhero costume in a red raincoat runs along a green lawn against the sunset, looking back. hd00:24Happy father and son playing nature in the park at sunset. Father keeps his son by the hands and turns with him. Slow motion. hd00:23Concept of love and family. hands of mother and baby closeup, Hand in hand. Mother care. Caring mother with baby, Playing with baby. Slow Motion. hd00:15Happy father leads his little son on a wheat field to meet the sunset. hd00:29A close-up of a child who laughs happily, then closes his mouth with his hands. The boy shows joy and a smile, positive emotions.